Grading is Pass/Fail for all courses offered in the pre-clerkship years. Attend and participate actively in all lab and small group sessions (Problem-Based Learning (PBL), Doctoring, Clinical Skills and Labs). Complete all weekly self-assessments within their specified time period. Pass a comprehensive final exam integrating all aspects of the course. Note that all block content covered in lectures, required readings, PBL, Doctoring, Clinical Skills and Labs may be tested. The Course Chairs establish the passing grade for each block. Please refer to the specific course syllabi for further information on evaluation criteria and what constitutes a pass or fail performance in a particular course. Pass an Anatomy lab practical when applicable. Please refer to the specific course syllabi for further information on what constitutes a pass or fail performance for Anatomy. Pass an Objective Structured Clinical Examination (OSCE). Note that this clinical skills assessment may include material from Doctoring and/or Clinical Skills. Criteria for acceptable OSCE performance increase over the first two years, and will be published in advance for each block. Receive satisfactory evaluations on the basis of specific performance criteria in PBL, Doctoring, Clinical Skills and Clinical Preceptorship. A grade of Fail in one course will result in the designation Experiencing Academic/Professional Difficulty. The student must make-up the grade by passing the retest exam at the next designated retest date. The only acceptable grade for remediation of the comprehensive final exam is "Pass." A grade of Fail upon remediation is not acceptable and results in the designation of Academic/Professional Probation, and the student is required to repeat the course. If the student repeats the course and receives a Pass, the satisfactory re-evaluation will appear on the transcript with a designation that the course was repeated (P*). A grade of Fail in two courses will result in the Experiencing Academic/Professional Difficulty designation. The student must make-up both exams by passing the retest exams at the next designated exam dates. If a student does not pass the make-up exam(s), the student’s designation changes to Academic/Professional Probation, and the student must repeat the course(s) the following academic year. A grade of fail in two make-up exams may result in a decision to repeat the entire academic year at the discretion of the identified APC. If the student repeats the course(s) and receives a Pass in both courses, the satisfactory re-evaluation will appear on the transcript with a designation that the courses were repeated (P*). A grade of Fail in three courses will result in the Academic/Professional Probation designation. The student must repeat the academic year on Academic/Professional Probation, and may be subject to dismissal with any subsequent failures during the repeat year. The student will be recommended for dismissal. At the discretion of the Thread Chair, any student who solely fails an Anatomy Practical or Clinical Skills retest exam may have the opportunity to remediate his or her performance with a faculty member in lieu of repeating the entire course. If given the above option, the student must remediate their performance with a faculty member, as designated by the Thread Chair, prior to the beginning of the next academic year. At the discretion of the Course Chair, any student who solely fails Problem Based Learning (PBL), Preceptorship, or Doctoring may have the opportunity to remediate their performance with a faculty member in lieu of repeating the entire course. If given the above option, the student must remediate their performance with a faculty member, as designated by the Course Chair, during the following summer. Students may receive a Marginal Performance for coursework in the pre-clerkship years, which is recorded on the transcript as a Pass for the course. Grades of Marginal Performance are for internal purposes only and are not reflected on the transcript. The Assistant and Associate Deans for Student Affairs are notified if a student’s performance is judged to be marginal. Students issued a grade of Marginal Performance in a block are encouraged to meet with the respective Block Co-Chairs and one of the Deans for Student Affairs to discuss strategies for improvement and available resources for support. Marginal Performance in 2 or more courses in one academic year (with no Fails) will result in the Experiencing Academic/Professional Difficulty designation. The Course Chair may assign the Incomplete grade when work is of passing quality but the student has not completed all required coursework by the end of the Block. Once an Incomplete grade is assigned, it remains on the transcript until resolved. To resolve a grade of an Incomplete to a Pass (P), students must satisfactorily complete the coursework as specified by the Course Chair within a specified time period. If the coursework is satisfactorily completed within a specified time period, the Incomplete will be changed to a Pass. If the coursework is not completed within a specified timed period or is not satisfactory, the Incomplete converts to and remains a Fail. The Academic Performance Committee is responsible for specifying the length of time afforded to students to complete the coursework on a case-by-case basis, during which time the Incomplete will remain on the transcript. The faculty responsible for instruction (or their delegates) award clinical grades, final examination grades and overall grades of Honors (H), High Pass (HP), Pass (P), Fail (F) or Incomplete (Inc.) according to the Clinical Years Grading Policy. The Course Chair may assign the Incomplete grade to either the clinical or final examination grade (which in turn translates to an Incomplete overall grade) when either clinical work is of passing quality but is incomplete, or the final examination has not been taken (due to illness or another serious problem). Once an Incomplete (Inc.) grade is assigned, it remains on the transcript until resolved. To resolve a grade of an Incomplete in core clerkships, students must satisfactorily complete clinical coursework and/or the final examination as specified by the Clerkship Chair, and resolve the Incomplete before proceeding to required 4th year rotations. Each required core clerkship has a clinical and a final exam component. The clinical component is comprised of evaluations submitted by house staff and faculty to the Site Director and Course Chair, who incorporate this data into an overall clinical evaluation. A final exam is given for all core clerkships in the third year. Students must pass both the clinical component and final examination in order to pass the required clerkship. The Course Chair will notify the student in writing if she/he fails a component of a clerkship. Students must pass both components of all required clerkships before beginning required 4th year rotations. One clerkship exam failure will result in a grade of "Fail" and a change of status to Experiencing Academic/Professional Difficulty. If clinical remediation is not required, the student may be allowed to retake the final exam on the next designated exam date, following two weeks of uninterrupted study with no clinical rotations or coursework, at the discretion of the Year 3 APC. The student must pass the make-up exam to receive a final examination grade of "Pass" or “High Pass.” Retaking a final examination disqualifies a student from receiving an overall grade of “Honors”. A grade of "Fail" on the make-up exam will result in a change of status to Academic/Professional Probation. Students will be required to repeat the clerkship in its entirety. Two clerkship exam failures will result in a grade of "Fail" for each clerkship. The student’s status will remain Experiencing Academic/Professional Difficulty. If clinical remediation is not required, the student may be allowed to retake the exams at the next designated exam dates, following two weeks of uninterrupted study with no clinical rotations or coursework before each exam, at the discretion of the Year 3 APC. Three clerkship exam failures will result in a grade of "Fail" for each clerkship, and a change in status to Academic/Professional Probation. A recommendation to either repeat the entire Year 3 curriculum, or the specific clerkships, will be determined by the Year 3 APC. Any subsequent clerkship exam failures may result in a recommendation for dismissal. The student will be recommended for dismissal to CASPP. If a student fails the clinical portion of a clerkship, the student will receive a grade of “Fail” and must remediate by repeating the clerkship in its entirety, including the final examination, even if the exam was previously taken and passed. The only acceptable grade for remediation is “Pass” or “High Pass”. A grade of "Fail" upon remediation is not acceptable and will result in recommendation for dismissal to CASPP. Evaluation criteria will be included in the course syllabus for each of the Core Clinical Clerkships, Longitudinal Preceptorship and Systems-Based Health Care. Please refer to the individual course syllabi for additional details on evaluation criteria. 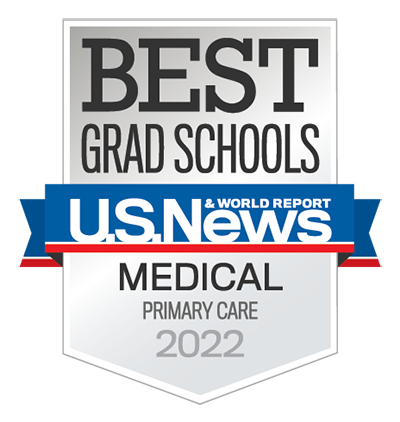 Core Clinical Clerkships: Ambulatory Medicine, Family Medicine, Inpatient Medicine, Psychiatry, Neurology, Pediatrics, Obstetrics and Gynecology and Surgery. Systems-Based Health Care and Longitudinal Preceptorship: Students are required to attend and actively participate in all sessions in order to receive a grade of Pass. Longitudinal Primary Care Preceptorship and Longitudinal Primary Care Research: Drew students are required to attend and actively participate in all sessions in order to receive a grade of Pass. Longitudinal Radiology: Students are required to take and pass a Radiology exam at the end of each clerkship. A cumulative score of 70 percent is required to pass the course. In addition to a grade, students will receive narrative evaluations based on their performance for all 3rd year coursework. The “Comments” section will be incorporated into the Medical Student Performance Evaluation (MSPE) letter for residency applications. The “Feedback” section of the narrative evaluation will serve to provide meaningful feedback to the student on his/her performance on the Core Clinical Clerkships, Longitudinal Preceptorship, or Systems-Based Heath Care with recommendations for improvement. Clerkship and Course chairs are asked to meet with students whose performance is failing in order to provide the student with feedback and recommendations to improve their performance. In addition, the Associate Dean for Student Affairs will also be notified as soon as possible by the Site Director, Clerkship Chair, or Course Chair, as applicable, of students who have been determined to be at risk of failing the course. All performance evaluations and assessments must be submitted within four weeks of the conclusion of a course or clerkship. The faculty responsible for instruction (or their delegates) award overall grades of Honors (H), High Pass (HP), Pass (P), Fail (F) or Incomplete (Inc.) according to the Clinical Years Grading Policy. The Clinical Grading Rubric can be viewed here. The MS4 Grading Tool for 2018-2019 can be viewed here. If a student receives a grade of Fail (F) he/she will not receive credit for the clinical course and a grade of Fail (F) will remain on the transcript. If a student receives a grade of Incomplete (Inc.) for the clinical rotation resulting from missed days due to excused absence(s), the course chair may give the student the opportunity to make up the missed days. After the days have been made up, their grade of Inc. will be replaced with a grade of Honors (H), High Pass (HP), Pass (P), or Fail (F) based on the grading rubric. 4th year elective coursework: 200-level (with the exception of Global Health), 300-level and 400-level. In addition to a grade, students will receive narrative evaluations based on their performance for all 4th year coursework. The “Comments” section will be incorporated into the Medical Student Performance Evaluation (MSPE) letter for residency applications, and the “Feedback” section will serve to provide meaningful feedback to the student on his or her clinical performance on the elective, with recommendations for improvement. Course chairs are asked to meet with students whose performance is failing in order to provide the student with feedback and recommendations to improve their performance. In addition, the Associate Dean for Student Affairs will also be notified by the Course Chair as soon as possible of students who have been determined to be at risk of failing the course. All performance evaluations and assessments must be submitted within four weeks of the conclusion of the course. The David Geffen School of Medicine adopted a 4-tier grading system: Honors/High Pass/Pass/Fail for the clinical years beginning with students that matriculated on or after August 2014. Grading will be criterion-based, which measures student performance against a fixed set of predetermined criteria. For students matriculating in the curriculum at the David Geffen School of Medicine prior to August 2014, grading in the clinical years is strictly Pass/Fail. Evaluation criteria are included in the course syllabus for each of the Clinical Core Clerkships, Longitudinal Preceptorship, Systems-Based Health Care. Please refer to the individual course syllabi for additional details on evaluation criteria. In addition to a grade (Pass/Fail), students will receive narrative evaluations based on their performance for all 3rd and 4th year coursework. The “Comments” section will be incorporated into the Medical Student Performance Evaluation (MSPE) letter for residency applications, and the “Feedback” will serve to provide meaningful feedback to the student on his/her performance on the Clinical Core Clerkship, Longitudinal Preceptorship and Systems-Based Health Care courses, with recommendations for improvement. All performance evaluations and assessments must be submitted to the Student Affairs Office within four weeks of the conclusion of a course or clerkship. After all evaluations and assessments have been submitted, the Student Affairs Office will then release the course or clerkship grades as soon as possible. Letters of Distinction apply only to students matriculating prior to August 2014 and are awarded for truly exemplary performance on a Core Clerkship by the Clinical Clerkship Committee. There are no minimum or maximum number of letters awarded in any given clerkship; i.e. several Letters of Distinction or no Letters of Distinction may be awarded on any given rotation. Letters of Distinction are recognized in the student’s MSPE letter for residency applications. Please refer to the individual course syllabi for further details on criteria used to determine a student’s candidacy for a Letter of Distinction. Please refer to the Policy and Guideline on Progress and Promotion for information on Incomplete Grades and Course Failure policies. The David Geffen School of Medicine at UCLA requires all students to evaluate their educational experiences throughout all four years of the medical school curriculum. The data collected is used in the aggregate to evaluate courses, curricula, and faculty. The data are then reported to course chairs for the use of improving teaching and courses. For the pre-clerkship years, course and faculty evaluations must be completed within two weeks from the release of final exam scores. For the clerkship years, students must complete course and faculty evaluations within two weeks from the end of the clerkship or elective rotation. Students are notified of evaluation deadlines via their mednet email account. It is expected that evaluations will be completed with honesty and integrity. Comments denoting constructive criticism as well as positive recognition are appreciated.